We have been delivering the Leaving Certificate by distance learning for over thirty years at Kilroy’s College. During this period we have had hundreds of students, of all ages and abilities, take from one to seven subjects with the College over the years. One of our recent Leaving Certificate students, Carmela, who took six subjects with us and attained one A1, two A2s, two B1s and one B2 has shared her success story with us. Read on to find out she accomplished this. Students study with us for many different reasons: some have decided that a school environment is not for them after the Junior Cycle and work with us to continue in the education system from home with a view to completing the Leaving Certificate and, in many cases, progress onto a third level course. Other students repeat the Leaving Certificate with a view to getting the points that they need to enter third level in Ireland or abroad. As our Leaving Certificate course is delivered by distance learning and is self-paced students can also earn as they learn! For students who decide on a change of career or course and need higher level Irish for Primary Education or a science subject or a modern language for a particular College course our flexible home study Leaving Certificate course can enable them to achieve their goal. We also have a cohort of international students based all over the world, who study with Kilroy’s College from home. In many cases they plan to enter third level education in Ireland or in their home country once they have sat the Leaving Certificate. 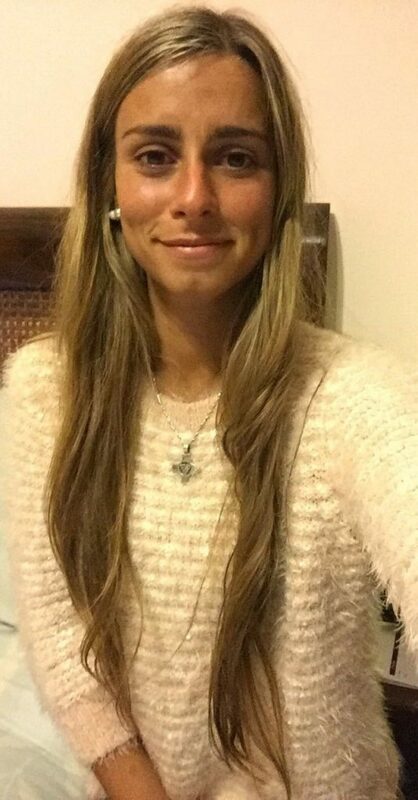 We interviewed one such student, Carmela Zazpe Revello, who studied six subjects with us from Uruguay to find out how she got on! You were based in Uruguay when you enrolled in our distance learning Leaving Certificate courses. What inspired you to study for the Irish Leaving Certificate examination? I had already sat the Junior Certificate when I lived in Dublin and I had a delightful experience. I knew I wanted to finish my studies in English, since it would help me to expand my vocabulary even more and better my English skills. I especially like the fact that you get to choose the subjects you want to do, and you’re more in control with what you would like to study, which is a privilege we don’t have here in Uruguay. 2. How did you initially hear about Kilroy’s College and our Leaving Certificate home study programme? I was looking online for options to study from a distance, and I found Kilroy’s College programme. 3. You enrolled in September and sat the examinations the following June. Were you comfortable with the nine month time line that you had to complete your studies? Yes, I was comfortable with it. Maybe it was because I had sat the Junior Certificate not too long before that and I knew how everything works. I think doing it in 9 months instead of 2 years was perfect in my case since doing it long distance for 2 whole years maybe would’ve caused me to lose motivation or focus towards the end. Every case is different, but 9 months were sufficient for me. 4. Which subjects did you enrol in? I enrolled in six subjects: English, Maths, Spanish, Accounting, Business and Economics. 5. How did you get on in the examinations? Were you happy with your results? I got on really well – an A1 in Spanish, an A2 in Maths and Economics, a B1 in Accounting and Business and a B2 in English. I studied and practised a lot beforehand so I was as well prepared as I could be. I was extremely happy with the results since they reflected the amount of effort and hard work I put in. 6. Did you find it easy to complete the home study programme from abroad? I found it pretty easy. The only thing I had trouble with, was finding the motivation to do it myself. Since nobody is watching over you or telling you to do it constantly, and you don’t really have definite deadlines, I sometimes found it hard to actually sit down and do the work when I first started the programme. Once I got used to how everything worked, and received the grades back for the assignments I sent, it was easier to make a routine for studying and completing everything on time. 7. Were you happy with the guidance that you got from your personal subject tutors and also from the Kilroy’s Student Services team? Yes, everyone at Kilroy’s College were really supportive and always willing to help me. They definitely made the whole experience easier and more enjoyable. Despite the distance, I got quick answers. We had issues at first due to the assignments having to be delivered by post and having to go back and forth, it took a pretty long time for things to get all the way to Uruguay and back to Ireland. We realized this was slowing the process down. We decided I would scan the assignments and send them by e-mail since it was way quicker and more efficient. 8. Had you any experience of taking any other distance learning courses at all before you enrolled with Kilroy’s College? No, I hadn’t had any experience or knew anyone that had done anything remotely similar. I didn’t know what to expect but I was pleasantly surprised! 9. How did you go about finding a secondary school in Ireland to sit the examinations in? I had no problem finding one since I lived in Ireland for 2 years and attended school there. I sat the Junior Certificate while I lived in Dublin. I got in touch with my old school and they were extremely helpful and supportive of me sitting the exams there. 10. Was it an easy process to register as an external candidate online at with the State Examinations Commission? I honestly don’t remember much about this process so I assume it wasn’t difficult at all! 11. When you went into the school to sit the examination were there any other external candidates in the exam hall? How did you feel? Yes, they were other external candidates who were sitting the exams, a lot of them actually. We were always in a separated group from the rest of the students that actually studied at that school. I felt comfortable because I saw some familiar faces and old friends. I chatted with the Principal and some of my old teachers as well. 12. Which subject did you personally find the most challenging and did you find our course helpful and useful in getting to grips with that subject? The most challenging subject for me was Economics, more specifically microeconomics. I found the programme helpful because it had everything well summarized and exactly what you needed in order to understand some of the difficult concepts in the course. It didn’t have unnecessary information that would have confused me or made it more difficult. 13. Which subject did you find the most enjoyable? I found Accounting the most enjoyable, which wasn’t really a surprise since I’ve always known I liked it better than any other subject. 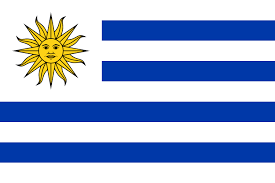 Leaving Certificate home study from Uruguay! 14. What did you do next? I started university here in Uruguay, I’m studying to become an accountant. I’m currently halfway through my third year. 15. Were you offered a place at university in Ireland or anywhere else? I wasn’t really looking to go to university in Ireland, that was never my plan. I knew I wanted to study here, in Uruguay, and that’s what I’m doing. 16. Would you recommend the home study leaving certificate programme to students who are perhaps planning to apply to study in Ireland at a third level institution/university? Yes, I would definitely recommend it. The best thing to do is probably find out beforehand what are the requirements, in terms of subjects and grades, for the university you want to go to, and start planning from there. 17. What are you most looking forward to next in your career path? I’m really looking forward to continue studying accounting and getting my degree. Once I finish, I will most definitely be doing a Masters Degree in some area related to Accounting or International Commerce, which I’m also really interested in, but I plan on doing that abroad. Maybe Ireland, who knows? There is no better time than now to enrol and start working towards the 2018 or 2019 Leaving Certificate examination! Each course is tutor-supported and self-paced right up until the date of the examination and can be completed in as little as 6-9 months! Enrol before midnight Tuesday August 29th and save 25% off your course fees. Your course can be put on hold for you until you are ready to commence your studies – so you can still avail of the discount even if you plan to start later in the year. Please just contact our Student Services team once you have enrolled to organise this. We support our students every step of the way in their learning journey. At Kilroy’s College you are in a class of one, but are never alone! Previous Previous post: 10 IT Job Skills In High Demand For 2017 & Beyond!